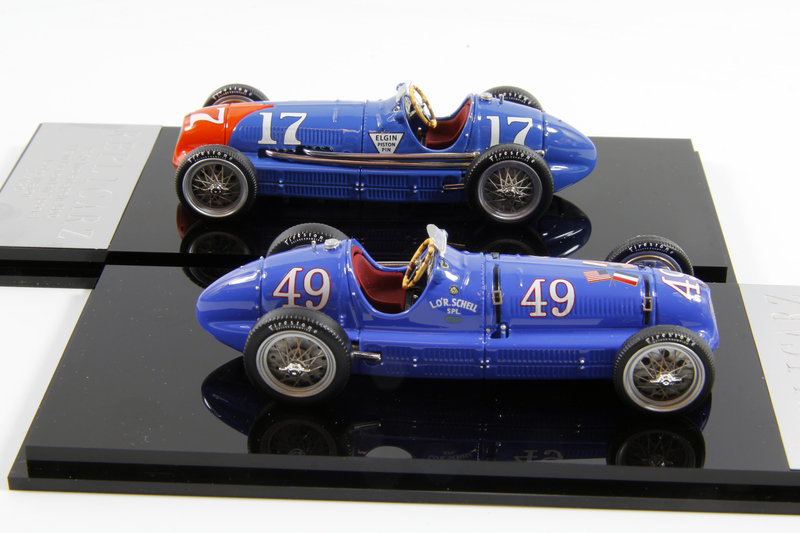 If you are collecting all the Indy 500 winning cars then Replicarz has another beautiful model to park in your Victory Lane – the 1940 Boyle Special. 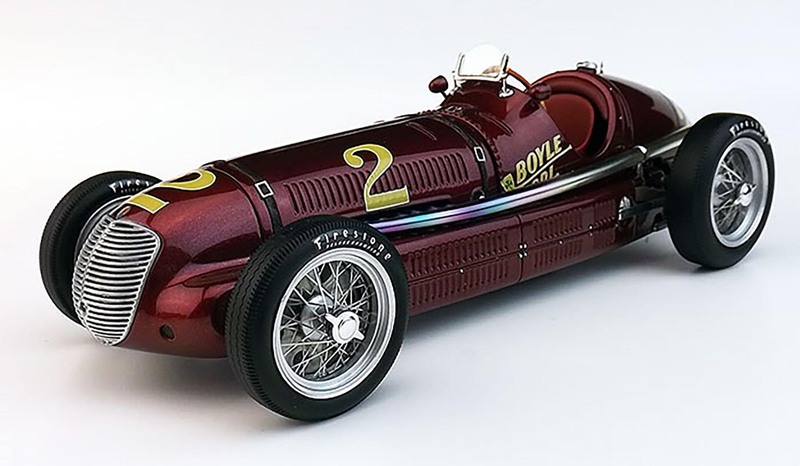 This is the same car that Wilbur Shaw won the 1939 Memorial Day classic in, but wearing the No. 1 that he earned by being national champion in 1939. 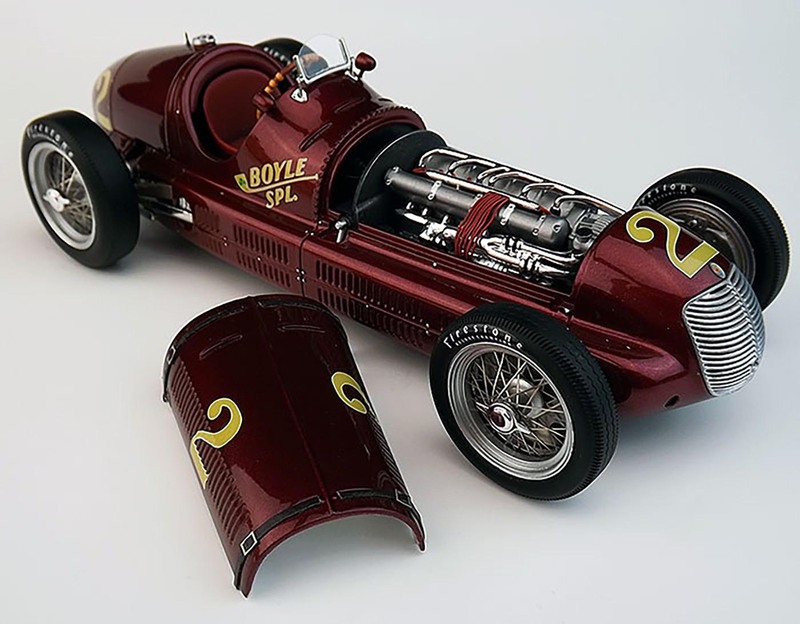 The dark metallic red (maroon really) Boyle Special is a Maserati 8CTF and was financially backed by Mike Boyle, a big Chicago union boss that some say had connections to organized crime – the mafia, not Congress! Shaw won the Indy 500 three times in four years from 1937 to 1940. He was the first to win Indy in consecutive years. 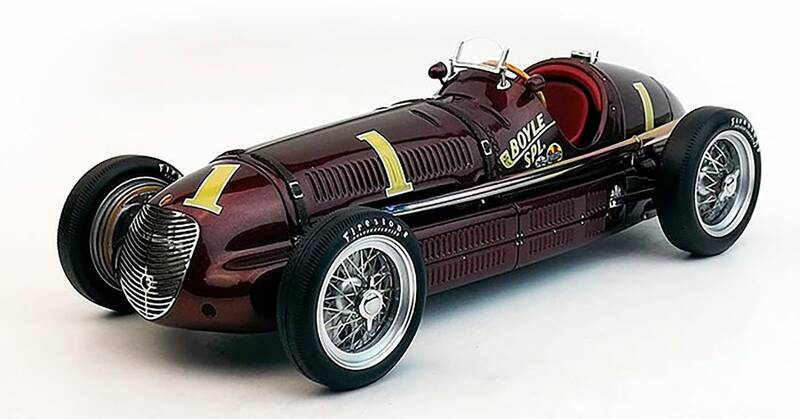 He darned near won the 1941 Indy 500 too, if not for a freak garage fire before that year’s race. He was leading when he crashed out.